AURORA, Ill. -- An Aurora man was allegedly found digging up an old grave Thursday in the western suburb. 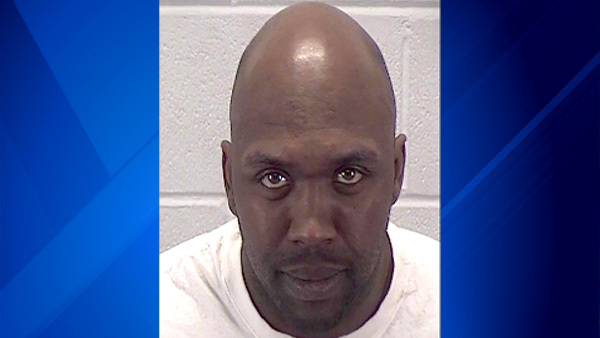 Jeremy Rivers, 33, was charged with a felony count of desecrating human remains after workers of the West Aurora Cemetery allegedly saw him digging at the grave of someone born in 1866, Aurora police said in a statement. Rivers allegedly told them he was "moving the body" at the request of family members, police said. He was in front of the headstone of Victoria E. Vittetow. Rivers stopped digging and left the cemetery after the workers "challenged" him, police said. Officers found Rivers at his nearby home and placed him into custody. Police said it did not appear that Rivers removed any of Vittetow's remains, but that her body "had been disturbed" by Rivers. He gave no reason for his actions, police said. Investigators could not determine a connection between Rivers and the gravesite, police said. He was taken to Kane County Jail. Court information was not immediately available.